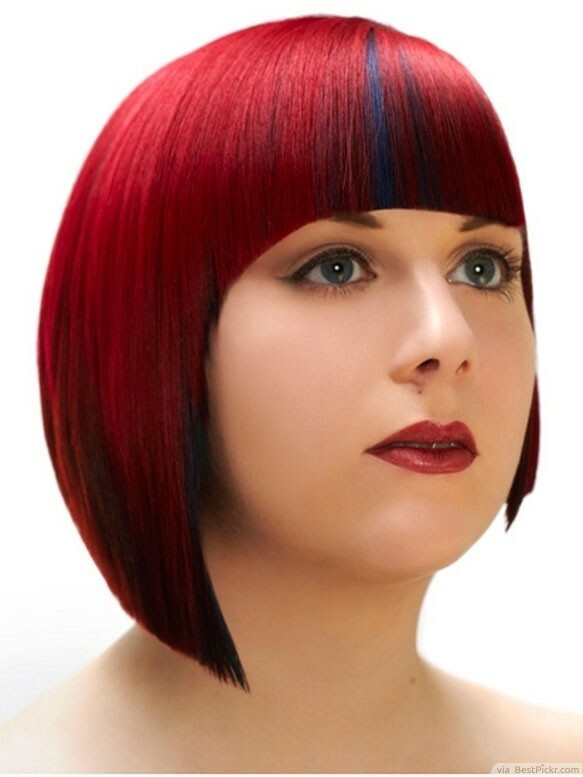 This hairstyle is really interesting because it combines an elegant cut with vivid punk rock coloring. The bob is edgier than its typical counterparts because of its uneven sides which can flatter a round or square face. The rich red and unexpected cobalt blue are an awesome and outlandishly beautiful combination.